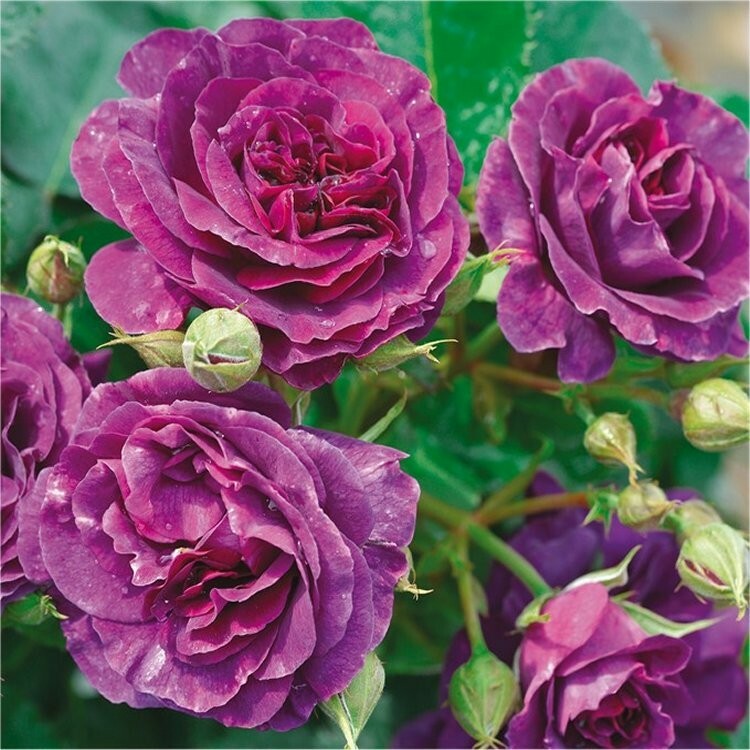 Minerva is a very unusual and beautiful Rose, supplied here as a large standard tree, it flowers throughout summer, producing deep purple flowers, as an added bonus, the blooms have a pleasant fragrance. Blooms will appear continuously throughout the season from early summer until the first frosts of winter. 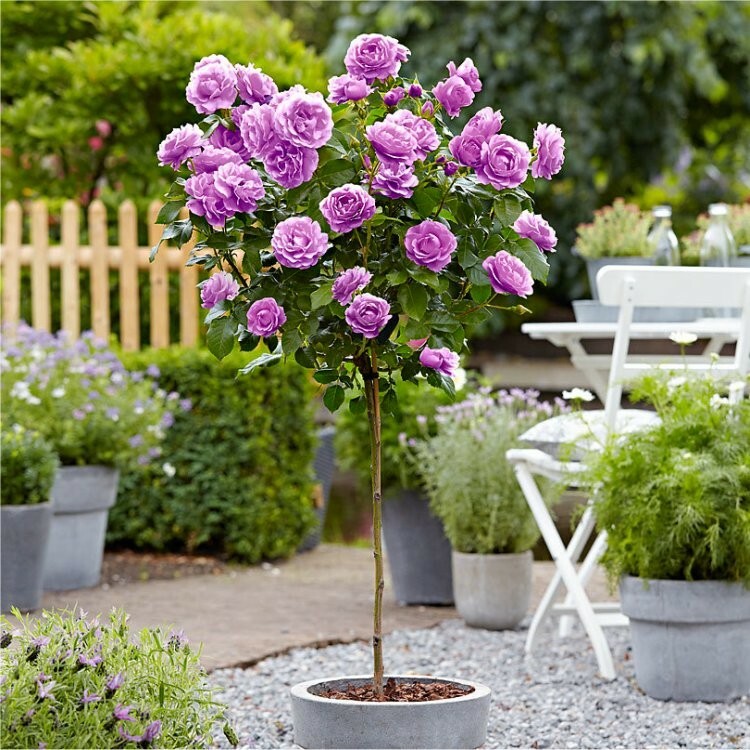 Unusual colour, combined with the standard tree form will ensure that this beautiful standard rose will really stand out. Supplied with an approx 100cm clear stem topped with branches growing in an approx 10 litre containers, overall height around 140cms.